If you are one of those gamblers who enjoys playing games of chance, such as a craps game, you probably wonder if there is more to it than pure luck. Fortunately, there is. There are certain techniques you can use while tossing the dice around the craps table. I know it sounds unimaginable, but bear with me. I am about to show you some neat methods of rolling the dice that you can profit from. In spite of being a game of luck, as it is all about shooting the dice, craps hold some secrets to rolling them your way. You are probably familiar with the concept of the game — both the employees of a casino and the players are gathered around a table. What’s more, there are slang expressions that cannot be heard anywhere else, such as “snake eyes” when the shooter rolls a two, or “natural winner”, when a 7 or an 11 is rolled. By the way, that is the moment the players who have placed a pass line bet rejoice, provided the roll in question is the come-out one. The layout of the table comprises of various sections. Areas such as the pass and don’t pass bars; the come and don’t come ones; sections for proposition and hard-way bets; the field; the “place” or “buy” bets section; as well as the big 6 and big 8 areas. Finally, there are two dice that roll around and determine the outcome of each round. 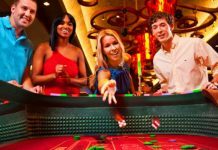 If you play craps for real money, you are certainly eager to know more about the techniques on how to throw the dice. After all, once they are in your hand, you are the shooter; so, why not benefit from it? However, keep in mind that the information I am about to provide you with can be applied only when you play land-based casino craps. 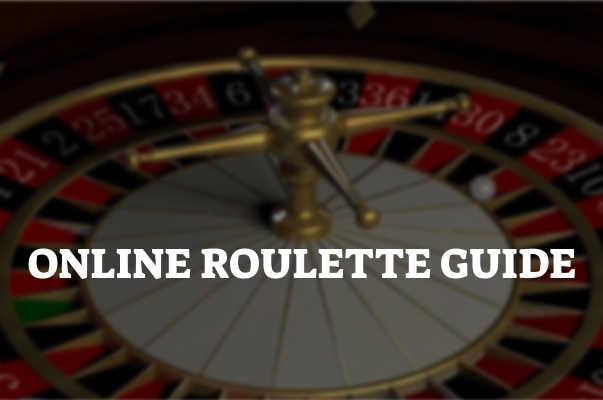 Online craps relies on pressing a single button, so you cannot count on any techniques. When you play any casino game live, and that includes craps, you are expected to behave properly. 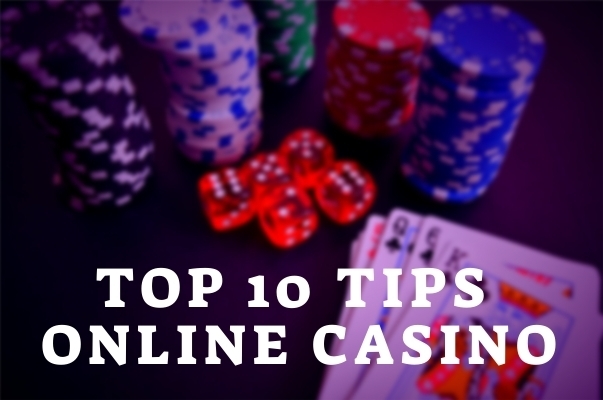 Whilst you may be alone in your home when engaging in online gambling, you are not alone at the craps table. When you approach it, you will find yourself in a social situation that requires certain manners. 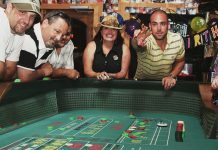 In order not to be confronted with annoyed looks of other players and the personnel, here is the course of events at the craps table and some advice on how to behave during them. You are familiar with the personnel composition — there is the boxman, whose job is to monitor the game; there are two dealers, who manage the bets, deliver payouts to the winners, and collect money from the losers. Finally, right across the boxman stands the stickman, the person with whom you will be communicating when it is your turn to be the shooter. They will collect the craps dice with their stick and place them in the center of the table. 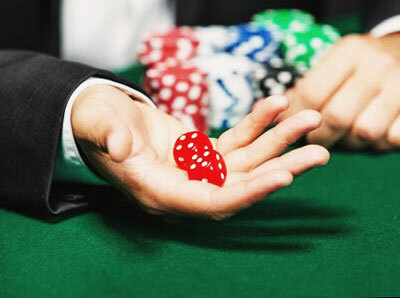 Once they determine that the dealers are ready for handling the next bets, they will push the dice to you. In case you are about to roll them for the first time, they will provide you with three or four sets. Then, it is your turn to choose any two dice, any being the operative word. It is rude to take forever to choose a pair, as all those players have not gathered around the table just to watch you stall; when I said manners, this was the part I was referring to. Once you have chosen a set of dice, it is time for you to toss them. Never forget that the outcome of the round—relevant for every player at the table—is literally in your hand. Not hands, but hand. Therefore, every single player will be waiting with anticipation for you to toss the dice. Keep that in mind and try not to waste their time. Use only one hand, as I have already emphasized. Make sure the table crew sees your empty hands before you pick the dice up. As for the act of rolling the dice itself, try to toss them gently, so that they bounce off the table and hit the edge of it. This way, you are assuring everyone that you have no control over the result. Keep your shooting hand within the confines of the table, minding the height of the dealers as well. 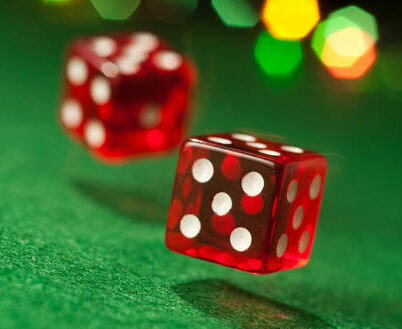 One would think that rolling the dice in the game of craps is a fairly simple thing to do. One would be right. There are a few rules you ought to roll by. Notwithstanding, there are always players oblivious to others, who break those rules whenever they get a chance to get a hold of a pair of dice. Pay attention to what they do, so you do not end up following in their footsteps. There are people whose preparation for the roll takes the longest time. They place the dice in a certain position, for God knows what reason. Then they examine them, blow on them, and test the grip of their own hand. You can only imagine how they affect the game. Do not toss the dice too hard or too weakly. Remember that your goal is for the dice to bounce off the table and hit the edge, not the other way round. 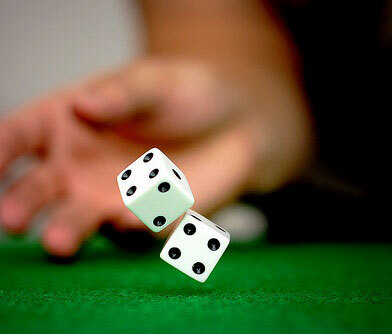 If you are superstitious, that is fine, as long as you do not let it have an impact on the way you toss the dice. Some players believe in the idea of controlling the dice. They assume the most absurd positions in order to improve their odds of winning, not realizing that the whole concept of dice control is just a scam. Whether you manage to roll the point number, or you happen to seven out, is entirely out of your control. The only way you can decrease the house edge is by placing the right bets at the right time, but that is a whole different story. 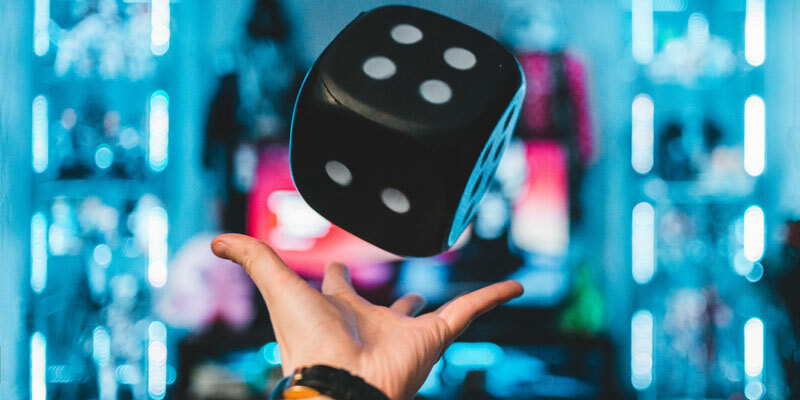 All in all, the goal you ought to strive for when playing the game of craps is not controlling the dice, but using maths to calculate your chances and placing your wagers accordingly. Know your way around the table, as every social situation requires them—live games at a casino being no exception. As for the dice, the only aspect you should mind is to throw them the way I have described, without making any undesired moves. After they have flown out of your hand, the outcome is up to everyone’s luck.